Magrit Loran (Ezili Dantò) gen 3 kestyon ki mande repons. The Dominican Republic has four times more violence than Haiti. Brazil's has 54 per 100,000 times more violence than Haiti. Until the 2016 ramping up of the covert US war to bring down the Dilma Rousseff government for allowing Chinese and Indian oil companies from BRICS dibs on its massive subsalt oil reserve find, Brazil was the commander of the UN-MINUSTAH troops in Haiti. Why is the UN not bringing stability to the more violent DR? Brazil, Mexico, Bahamas, Jamaica, Columbia, etc..? Or, in Detroit, Washington DC, Jamaica, Mexico, Bahamas, Columbia – all with greater violence than Haiti? 2. QUESTION: Why is there a U.N. Chapter 7, shoot-to-kill, “peace enforcement” mission in Haiti since 2004 renamed MINUJUSTH without the shoot-to-kill mandate on Oct 15, 2017)? A country not at war, without a peace agreement to enforce and with less violence than most countries in the Western Hemisphere? A country with one of the lowest crime rates in the Caribbean? The U.N. has never unleashed a war battalion in a country not at war and without a peace agreement to enforce in all its existence. Why the double standard for Haiti? Why does Haiti need Obama/Bush/Clinton's meager 61cent an hour sweatshop jobs or US charity (false aid) with so much of its own resources to develop the local economy? 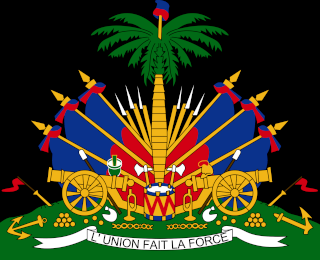 The U.S. occupation has brought Haiti not only dictatorship with Michel Martelly ruling without a Parliament and then the fake election of the incriminated money launderer, Jovenel Moise, but reckless transmission of a contagious disease similar to the diseases brought by Columbus' men when they first landed in Haiti over 500 years ago. » Chita tande Ezili Dantò!